One of the biggest challenges a company faces is talent — how to find the right people, hire them, develop them and, perhaps most importantly, retain them. While every company is faced with this challenge, it can be even more pronounced in the start-up industry. The pace is faster, budgets are tight and time is limited. The goal of a strategic People function should be to support the employee journey in a way that makes sense for the company at each size and stage without slowing down the business or implementing unnecessary processes. Much of what is created in the earlier days will need to evolve as the company grows, however the foundational pieces that are put in place will remain consistent and influence the overall Talent strategy and related programs in the long-term. 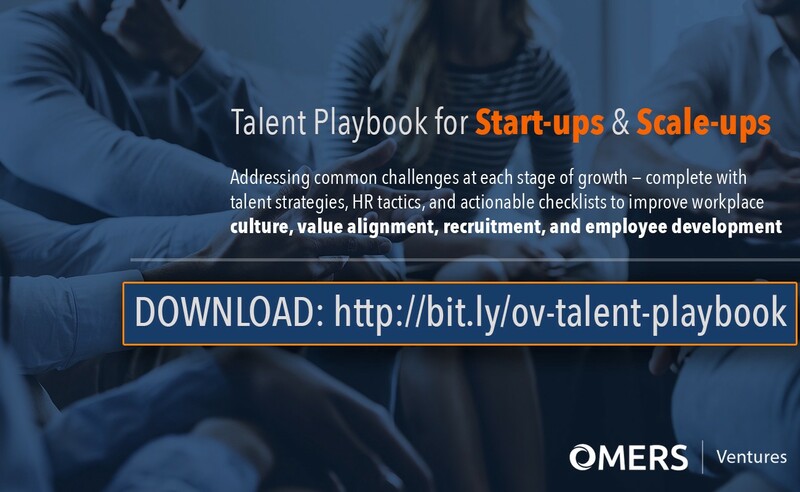 This guide, while not exhaustive, is intended to highlight some of the most common challenges at each stage of a company’s growth and suggest solutions that will help Founders and their HR Partners address them. It should be treated as a high-level review with an understanding that some of the recommended courses of action are not easy to implement and will require additional research before the solution is implemented. Sara is the Talent Director for OMERS Ventures. She provides advice, guidance and support to our portfolio companies on talent attraction, employee engagement and retention and other HR related programs. She is also responsible for creating a highly engaged community of executive level candidates for potential leadership and advisory opportunities within the OV portfolio. Sara has fifteen years of experience in Talent Attraction and HR and has spent the last ten years focused on Toronto’s tech industry. Prior to joining OV, Sara worked with Lavalife and Microsoft Canada and also held leadership roles at D+H and FreshBooks. Questions or comments on the OV Talent Playbook? Reach out to Sara on Twitter!